Seated atop the playground slide, Yajaira envisions certain victory with this approach. That is very imaginative. I like it. Esp. the primer and various factory markings. The green turret - what is it? Hi, apologies for the delayed reply. We've been out of town on vacation. Thanks for checking in and for the compliments. The paint and marking scheme was loosely based on the box art of the Jagdpanzer 38(t) Hetzer "Prague 1945" from Academy. 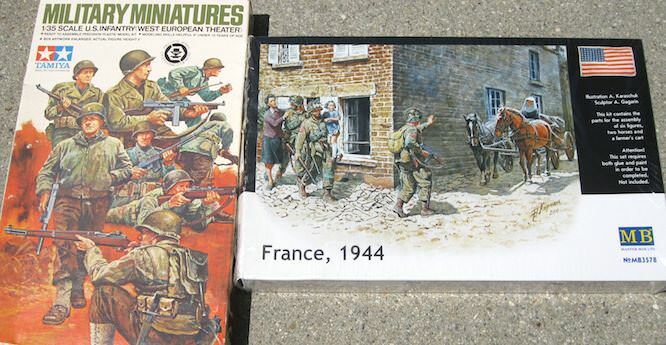 I bought that Hetzer kit because of the box art. 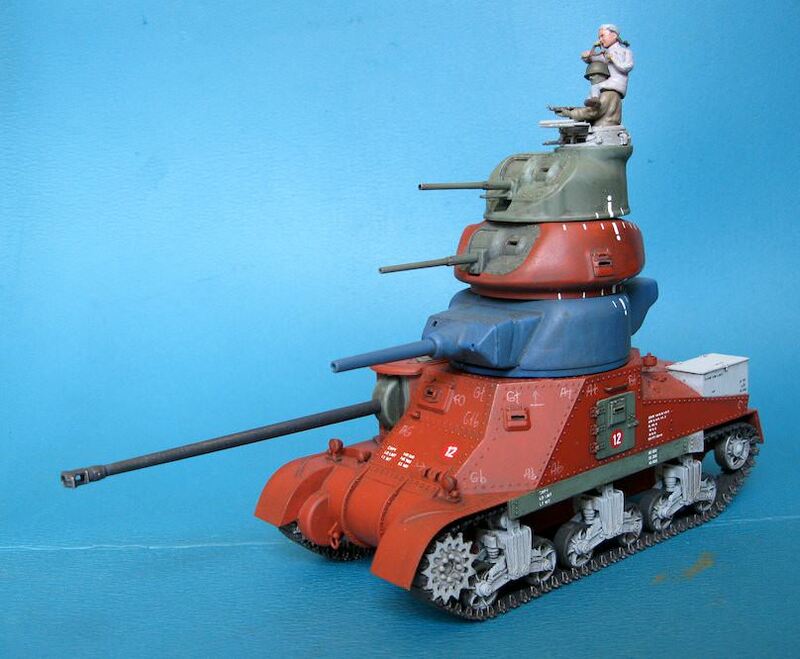 M3 LEE from Tamiya, provides the top turrets and guns. 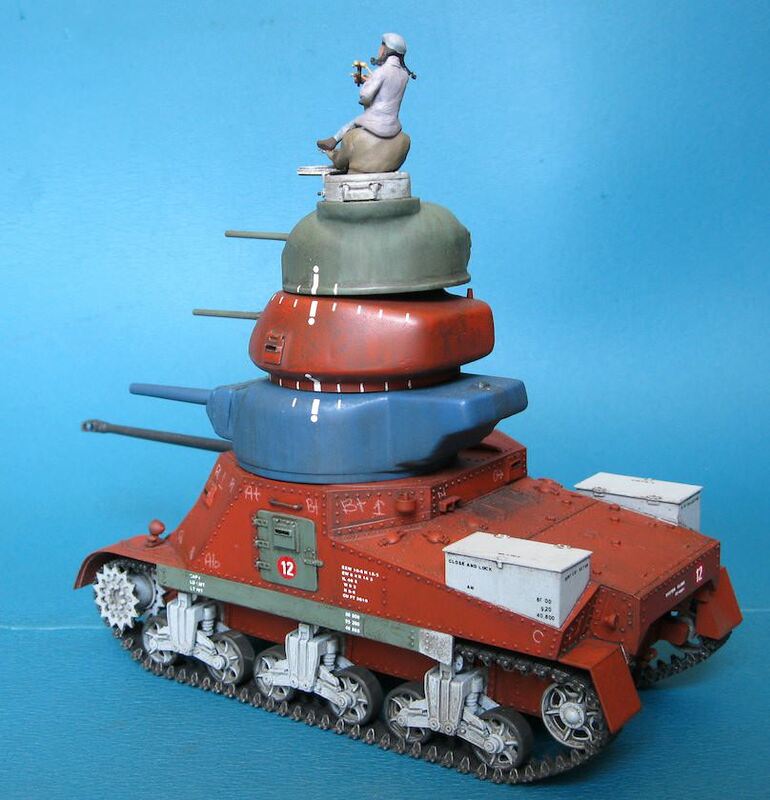 M3 GRANT from Tamiya, is the middle red turret, gun, and red hull and gray running gear and tracks. 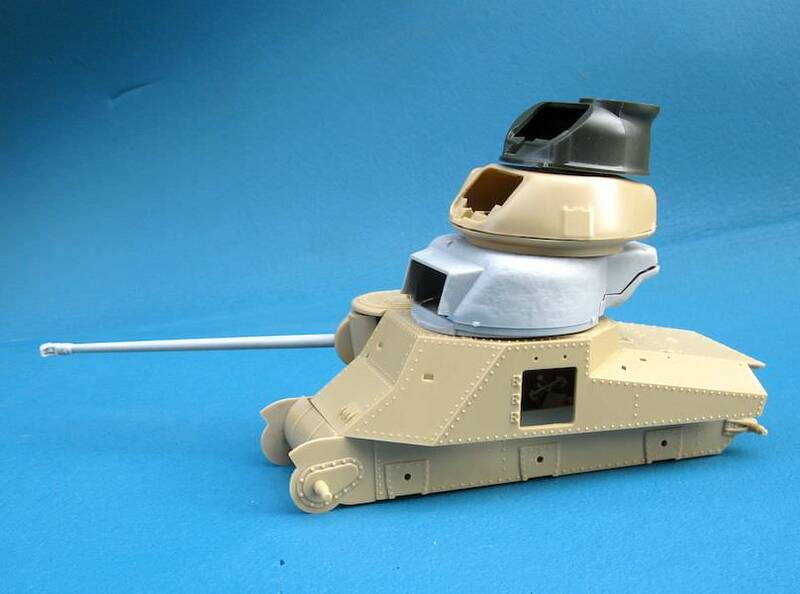 The gun tube in the blue turret is from the GRANT kit as well. This was moved up from the hull position and traded with the below described gun tube. 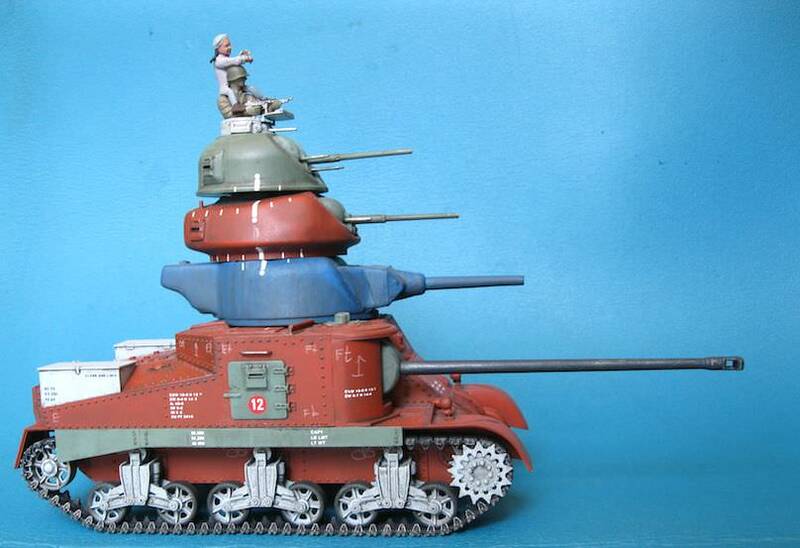 An extra turret and gun were included in the "M51 Isherman" from DRAGON. This is the lower blue turret and main gun tube installed in the hull. 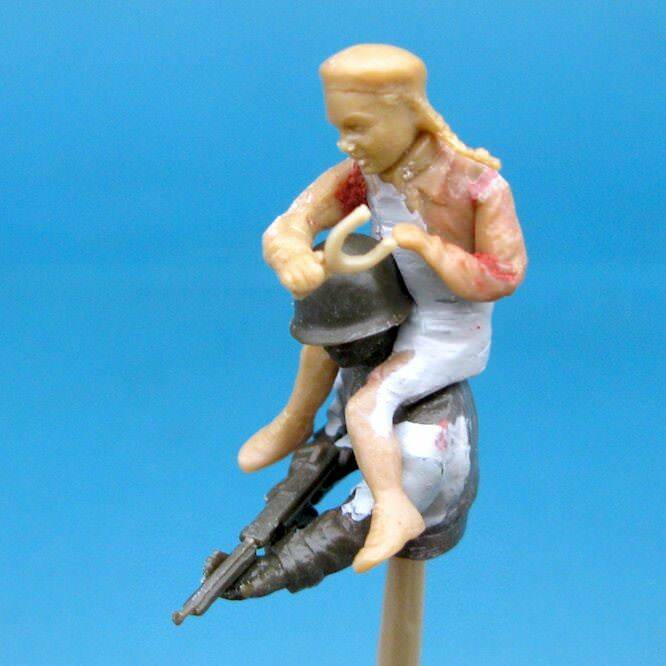 The classic GI figure is from the also classic figure kit from Tamiya. Yajaira is from the Master Box kit, although not pictured in the MB box art.